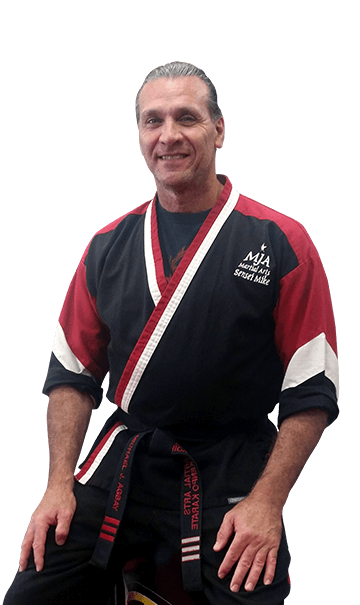 Since 1994, MJA Martial Arts has provided its members with a roadmap to success based on self-defense, confidence, and goal-setting skills. I remember when I was younger, feeling uncertainty about beginning martial arts. I wondered if I had what it took to succeed and I wasn’t the most confident child - quite the opposite. Little did I know that beginning my martial arts journey would be one of the most profound experiences of my life! When I opened my school in 1994, I made a commitment to serving and empowering the community by teaching children and adults the confidence, leadership and fitness skills that can only be achieved through martial arts. Our programs have a strong focus on personal development. The foundations of our morals, values and core character traits are formed in our early years. For this reason, the programs at MJA Martial Arts are an essential way to enhance the growth and personal development of young students of all ages. Kenpo Karate is the style of martial arts practiced by MJA Martial Arts students. One more reason you will love martial arts at MJA Martial Arts! My 3 year old daughter has been attending ninja classes twice a week and I now see why my sister insisted on enrolling her. My sister is a Navy veteran and wanted my daughter to learn at a young age the basic principles taught here, much similar to the military. I have already seen my daughter's confidence grow! I am so thankful for the teachers here who really put in the extra effort to include the shy wallflower. Just sitting in on the classes I have a new appreciation for Martial arts. I highly recommend MJA Martial Arts. Incredible people and just so very open-minded and helpful no matter what skill level you are! Truly an amazing family environment! Sifu Michael, the staff, and students have taught me so much about how to treat people and learn this great art! Fantastic dojo, wonderful program teaching well beyond martial Arts, run by 2 of the greatest people i have met. When you join this Dojo, you become part of a family!